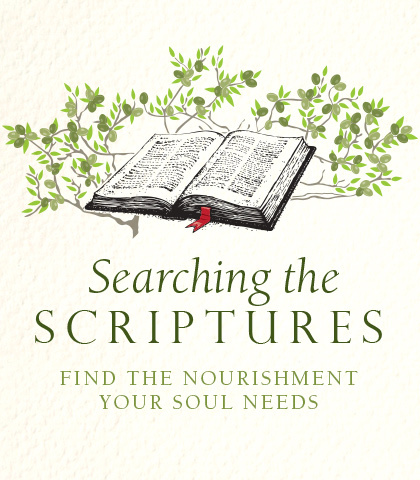 In Searching the Scriptures, Chuck Swindoll teaches us how to dig deep into Scripture and uncover profound truths for our lives by teaching us to prepare our own spiritual meals. Explaining the tried-and-tested techniques for Bible Study that he has used his entire ministry, Chuck leads you on a journey of biblical discovery that will provide spiritual nourishment for a lifetime. If you’ve been a Christian for a while, you’ve probably found yourself skimming over certain verses that you’ve read many times before. Chuck Swindoll reminds us that there’s always something new to learn from every passage of Scripture. We have previously spent time learning about observation, interpretation, and correlation in the process of learning how to get into the Word for ourselves. Now, we come to the crowning part of the learning process—the application of God’s truth to our lives. You don’t have to be brilliant or significantly creative to know the Bible, but you do have to spend time preparing, studying, praying, and focusing your time and attention on the text of Scripture. Preparation is essential. When the Apostle Paul was alone in Athens, as recorded in Acts 17, he found himself in the busy market place full of idols in the streets of Athens, far away from home and a long way from Christian friends. It’s in that context that we are given an example of the fruit of biblical preparation and compassion as Paul delivered a free-speech platform and proclaimed the God of heaven and earth and His Son, Jesus Christ, crucified and risen from the dead.